Origin: Endemic to Lake Malawi, Africa. Particularly concentrated around the shores of Mbenji Island. Company: Aulonocara stuartgranti sp. 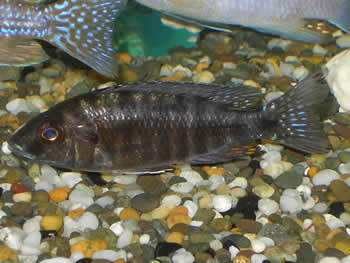 Chilumba(Chilumba) is best kept with other peaceful and calm malawi cichlids. Aquarium setup: Aulonocara stuartgranti sp. Chilumba(Chilumba) should be kept in a large aquarium tank with a lot of hiding places and a lot of free area to swim on. Plants can be used in the decoration but is not required. Feeding: Aulonocara stuartgranti sp. Chilumba(Chilumba) accepts all kinds of food. Vegetables should be an important part of their diet.